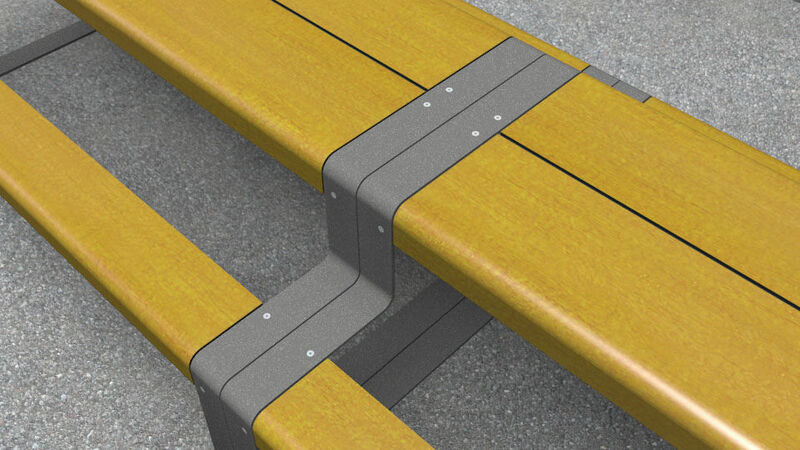 Connecting people – the contour of the side pieces runs like a continuous ribbon, seeming to connect people on this table-bench combination. 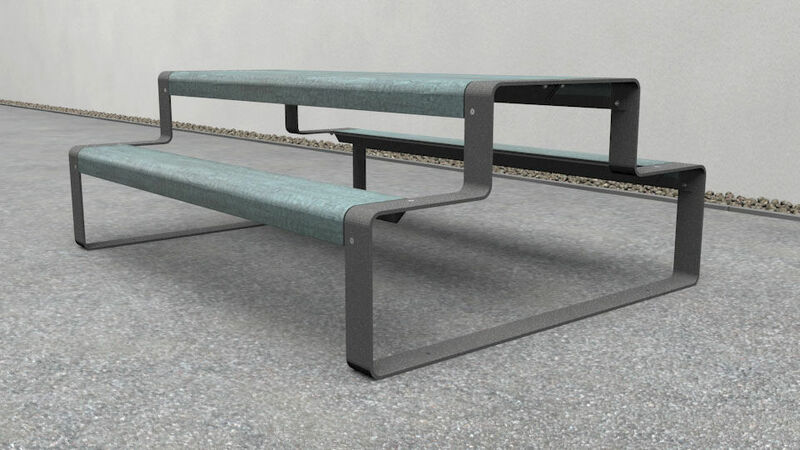 Furniture for public outdoor spaces consisting of bench and table combination. 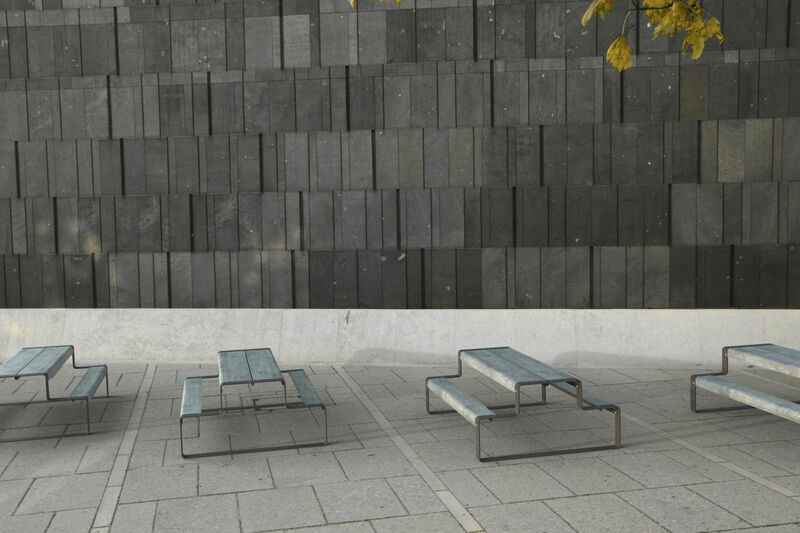 The furniture is made of steel frames with seat and table surfaces of high-pressure laminate plates. The furniture is prepared for ground bolting or setting in concrete.